We are all aware how vitally important it is to protect Ourselves, Our Families and Our Businesses from unscrupulous individuals intent on harm. It seems a basic human instinct to provide as many distractions as possible to deter unwanted attention. We all, as far as it is possible, lock Doors, install Burglar Alarms or CCTV, use Key or Card Entry Systems, and join Neighbourhood Watch schemes. The sad truth is that most people start to worry about identity theft and corporate fraud only after it has actually happened to them. They always say things like “if only I had..” or “why didn't I just..”. 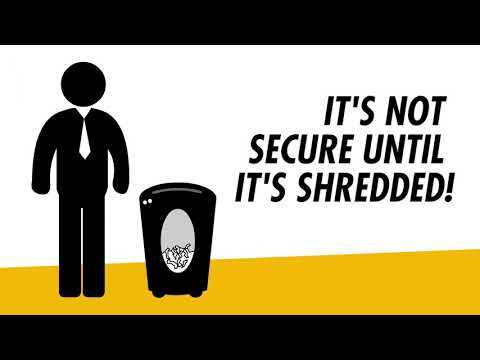 Don't be one of the victims, buy a shredder before it's too late!